This workshop's purpose is to help you "brainstorm" business ideas, determine if there is a demand for it, find out who your competition is and how strong they are. Then you'll test if your findings are correct. Then find free and cheap advertising sources for your idea. The next step as you would expect is to sell your idea, but this is not what happens in life. You can't sell your solution to people who have never heard of it. Actually, the next step is to develop a relationship with your potential customers. Once this is accomplished, you sell it to them. Then you learn how to follow-up and sell more of your products to the same group of people. This is in nutshell short summary of what awaits you further into the workshop. I'm sure that some of you might be aware of past developments in auto surf industry. I hope you can see where these kinds of things ended up. Most people blamed StormPay. In the first place they should blame themselves. They got involved in a program which doesn't offer any value to anyone. It is a scheme known for years whose purpose is to take advantage of statistics and set rules at such a level so the owner of the scheme has enough time to build up confidence in the "investors". At some point the influx of new members will stop and no new income will be generated. The company shuts down making sure that large portion of money is secured in the offshore banks before that. This small digression was meant here to demonstrate that without real value to the consumer, any company will eventually fold down. Your goal is to develop business which can provide value to the customer. Once the value is noticed, you can't stop growing as the customer will ask for more. The one which you feel most passionate about. Today, you will use these keywords to determine if there is demand for your solution. If you are already in some kind of business and this solution is already under development, just forget for the moment about it. Approach it like this would be your first time thinking about it and you are doing your analysis just to find out if what you want to do has any chances for success. This link is Google (Adwords) suggestion tool. 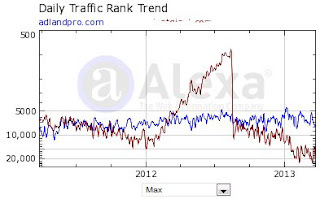 It shows you how many searches were conducted last month for specific keyword and its other combinations. Now type first of your keywords and press search button. e.g. if you type "piano lessons" you will see results for your keyword. In addition you will receive all other possible combinations of your keyword with words which were used to do the searches with the search term "piano lessons" like e.g. "free piano lessons"
e.g. 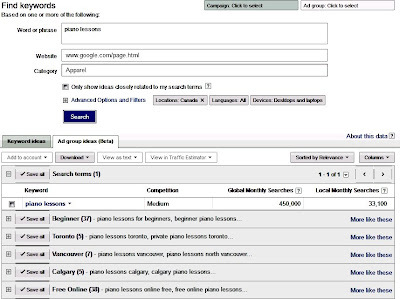 for "piano lessons" there were 450,000 global monthly searches conducted last month and 33,100 local monthly searches as of this writing. There is also info saying that competition is medium. The number next to the keyword will tell you how popular is the search term. In short what is the demand for this service. Let's analyze some other combinations. The term "home piano lessons" has been searched globally 2,900 times and locally 260 and it says that competition is high. If you were interested in only offering home piano lessons, your entire market would be 2,900 people probably scattered over all of North America and/or English speaking countries. 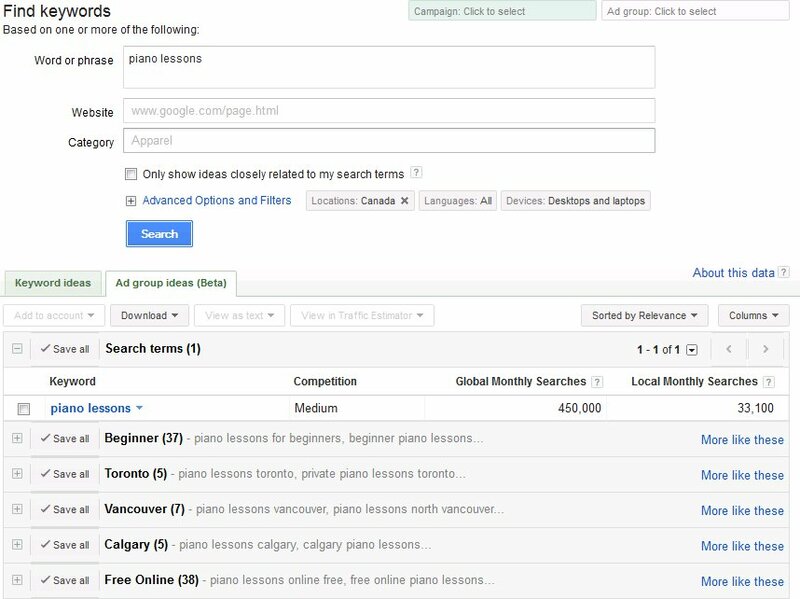 Whereas term "online piano lessons" was searched for 22,000 globally and 1,300 locally last month and competition is medium. Not only that there were many more searches for this term, but offering online piano lessons is doable no matter where you live, which means that all 22,000 people are your possible customers. You know from this that offering online course to teach piano lessons has a larger potential market as opposed to looking for local clients wanting to see them at home. Evaluate your other business ideas using the same approach. Come up with the keywords and test it. Find 20 keywords describing your business which have most demand according to Google suggestion tool. In next lesson I will show you how you will determine your competition.